These strawberry brownie bites from Erica's Sweet Tooth are an easy dessert for any night of the week. For the bite-sized brownies, you can use your favorite recipe or boxed brownie mix and a mini muffin tin. 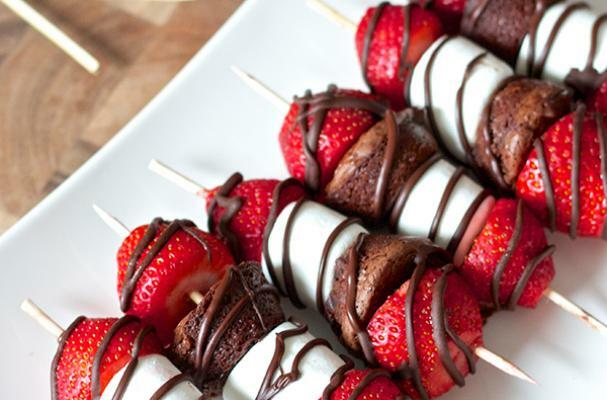 Once baked, the mini brownies are skewered with marshmallows, fresh strawberries and drizzled with chocolate sauce. These kebabs would also be delicious with raspberries or fresh pineapple. For full recipe instructions, click here.